We can offer a huge gamut of 2 Speaker PA System to our clients. These are widely appreciated for their excellent sound quality by our clients. Our products are easily gettable at a very low market prices. Customer can get these products as per their own need. 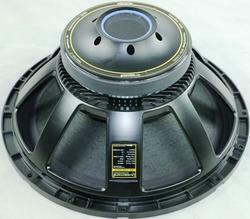 12" dual cone full range PA speakers with a very wide frequency range 55-16, 000Hz. High quality specially designed imported parts for low distortion and a clean transparent sound. Efficient design for a high SPL over the entire effective frequency band. 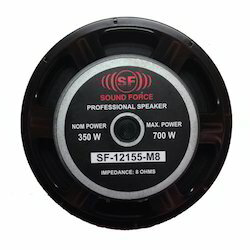 - They are 12" dual cone full range PA speakers with a very wide frequency range 55-16, 000Hz. - Impedance of SK-12FRX is 8§Ù and SK-12FRZ is 16§Ù. - High quality specially designed imported parts for low distortion and a clean transparent sound. We offer an innovative range of Speakers. Our range find its application in parties, events, DJ party, clubs, discotheque and restaurants. Our range is appreciated for their clear and loud voice. This range is manufactured in compliance with the international quality standards by our vendors. a compact superior quality speaker system comprising of a single 12" full range dual cone speaker and a piezo horn tweeter. The system is outstanding for its ability to handle 100w continuous power with undistorted response and is ideal for small pa applications. The speakers are housed in a rugged closed box enclosure made of 18mm board, and carpet covered. Portable PA Steel Column Speaker offered comes with superior built-in powerful transformer support. Being quality oriented professionals, we are offering Public Address Speaker to our clients. It operates on different voltage levels and is offered in several configurations. One needs to use higher voltages for long distances for operation of these electronic devices.